14th July, 2016 - Rose now in Japanese - Rose has now been dubbed into Japanese. 4th May, 2015 - Campfire hosts Rose - After winning an award at the Campfire Film Festival, Rose is now also online on their website. 16th April, 2015 - Rose on CG Society - CG Society has a great write up on the making of Rose as a featured article. 16th March, 2015 - The Rose of Turaida is now online! - Watch the film below! 14th March, 2015 - New blog entry - Read "The Festival Run is Done" in the "Updates" section. 30th January, 2015 - Rose in Iran - The Tehran International Animation Festival will screen Rose in competition in March. 29th January, 2015 - Rose in Ohio - Rose screens in the Blue Sky International Animation Festival in Febraury. 19th January, 2015 - Rose at Pause Fest - The exciting Pause Fest in Melbourne will screen Rose in the State of the Motion section in Febraury. 20th September, 2014 - Rose wins at FIA - The Festival Internacional de Animación has awarded Rose the Mejor Cortometraje de Animación Experimental! 5th September, 2014 - Rose in Uruguay - Rose screens in the Festival Internacional de Animación (FIA) in the Experimental section. 4th September, 2014 - Rose in Belarus - Animaevka will screen Rose later this month in the city of Mogilev. 28th July, 2014 - Rose in China - The Xiamen International Animation Festival will screen Rose in competition in August. 19th July, 2014 - Timeline of production infographic - Uploaded to the gallery is a graphic representation of the major milestones for the film. 16th July, 2014 - Rose is back in Italy - Rose is a part of the IV Cartoon Club Award in Rimini this week. 27th June, 2014 - "Making of" Rose - I was invited to write an indeth "making of" article for the journal "Animation Practice, Process & Production". 2nd June, 2014 - Rose goes British - The British Animation Film Festival screens Rose this weekend during Screening 1. 26th May, 2014 - Rose wins at Campfire - Rose wins the Best History, Geography, Economics & Business award at the Campfire Film Festival! 17th May, 2014 - More ATOM screenings - Check the Other Screenings section below for more dates of the ATOM Awards National Screenings Tour. 7th May, 2014 - Spain loves Rose some more - Barcelona will play host to NonStop Barcelona Animació, and Rose screens on the 16th of May. 5th May, 2014 - Rose is back in Spain - Rose screens in Animayo, which started today and goes until the 10th of May. 1st May, 2014 - Rose wins a Van Gogh - The Amsterdam Film Festival awards Rose with the Special Jury Prize, World Cinema Animation. 7th April, 2014 - Rose a finalist is SASA - Some home ground news, Rose has been nominated in South Australian Screen Awards for Best Aniamtion. 31st March, 2014 - Northwest of Rose - The most northwest festival around, the Northwest Animation Festival has selected Rose for it's 2014 edition. 27th March, 2014 - Rose in the Desert - The High Desert International Film Festival screens Rose in May in the Animation section. 15th March, 2014 - Rose in Brisbane - In the lead up to the West End Film Festival, Rose will screen in the WEFF's Culturally Diverse Showcase. 10th March, 2014 - Rose in Athens - Greece's Athens Animfest will screen Rose in the Short Competition on the 18th of March. 26th February, 2014 - Rose joins New Media - The New Media Film Festival has announced its first round of films, which includes Rose. 25th February, 2014 - Canada loves Rose - The Canada International Film Festival recently awarded Rose with a Rising Star award! 17th February, 2014 - Rose at Byron - Rose screens on home soil at the Byron Bay International Film Festival, and is nominated for Best Animation. 7th February, 2014 - First ATOM screening - Rose will play in the first screening of the ATOM National Tour, which begins in Melbourne in February. 5th February, 2014 - Rose at First Glance - LA's exciting First Glance Film Festival screens Rose in the Animation section in April. 4th February, 2014 - Rise at PIXEL - I only just found out that Rose screened as part of Siggraph CAF 2013 during PIXEL in Vienna last October. 12th January, 2014 - Rose in Spokane - Washington's Spokane International Film Festival will screen Rose in the Animation Showcase section. 10th January, 2014 - Rose in BC - The Victoria Film Festival in Canada will screen Rose in its Love & Danger section. 29th December, 2013 - Rose in DC - Rose will screen in the Washington DC Independent Film Festival in February as an animation finalist. 20th December, 2013 - Rose wins in the Barossa! - The Barossa Film Festival gave Rose the Best Animation award! 19th November, 2013 - Rose in St. Augustine - The St. Augustine Short Film Showcase in Florida, will screen Rose on the 7th of December. 14th November, 2013 - Rose in Ireland - The Oscar and BAFTA recognised Foyle Film Festival will screen Rose in the Best Animation Package 2 section. 13th November, 2013 - Rose in Portugal - The fantastic Cinanima will screen Rose out of competition in the Animated Mermaid III (page 92) section. 11th November, 2013 - Rose in Barcelona - Rose will screen in the Libélula Animation Festival next week! 30th October, 2013 - Rose in Argentina - The exciting Expotoons has selected Rose to screen in competition. 26th October, 2013 - Rose on Route 66 - The Route 66 International Film Festival will screen Rose in competition on the 2nd of November. 26th October, 2013 - The big Five Oh! 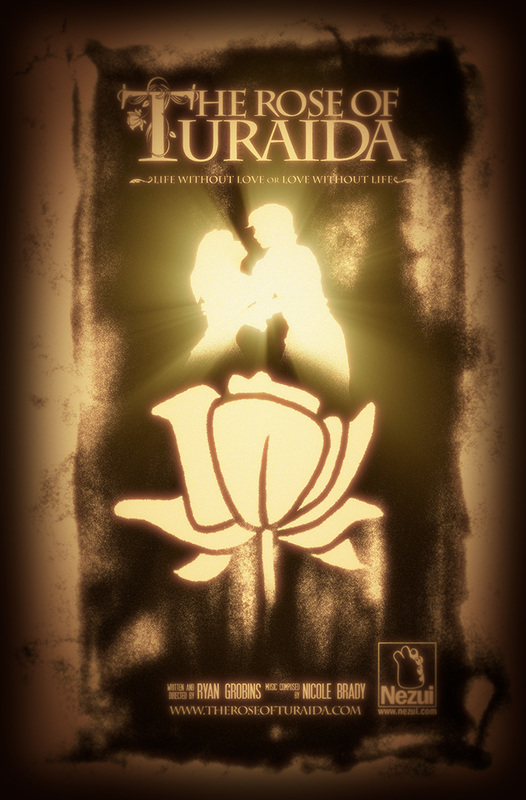 - The Rose of Turaida has now made the selection into 50 festivals so far! 26th October, 2013 - Rose in the Caribbean - Rose screens on the 31st of October at the Animae Caribe Animation and New Media Festival. 21st October, 2013 - Rose wins online FirstGlance contest! - Rose won the FirstGlance Fall 2013 Short Online Contest, thank you to all that voted! 20th October, 2013 - Rose in Pennsylvania - Rose will screen in the Golden Orchid International Animation Festival in early November. 19th October, 2013 - Rose in Pietrasanta - DOCartoon in Italy will screen Rose this weekend! 17th October, 2013 - Rose in St. Louis - The St. Louis International Film Festival, has selected Rose to play in its Animation 2 program! 17th October, 2013 - Rose in Alaska - Rose has been selected for the Anchorage International Film Festival, the chilliest festival around! 17th October, 2013 - Rose at River's Edge - The River's Edge International Film Festival has selected Rose to play in early November. 11th October, 2013 - Rose at Blackrock - Ireland's Blackrock Animation Film Festival will screen Rose in the Best International Short Film section. 5th October, 2013 - Rose at Crystal Palace - The Crystal Palace International Film Festival has selected Rose to play in the Animation Night section. 2nd October, 2013 - Rose in Brazil - Anima-Sao - Festival Internacional de Animación de São Gonçalo in Brazil will screen Rose in its Special Session. 2nd October, 2013 - Rose at Bideodromo - The experimental film and video festival Bideodromo will screen Rose in late October. 1st October, 2013 - Rose at Savannah - The Savannah Film Festival has officially selected Rose to screen at the end of October. 28th September, 2013 - Rose at Roseville - Rose is screening in the Roseville Animation Festival right now. 25th September, 2013 - Rose at VIEWFest - VIEWFest will screen Rose as part of the Best of SIGGRAPH 2013 Computer Animation Festival in Italy. 23rd September, 2013 - Rose in the Barossa - Rose will screen in the Barossa Film Festival in October, of which I plan to attend personally! 18th September, 2013 - Indie Spirit loves Rose - The Indie Spirit Film Festival has included Rose in its official selection! 17th September, 2013 - Rose in Romania - Kinofest has included Rose in their non-competitive Off Animation program in late September. 17th September, 2013 - Rose in Boston - The Glovebox Short Film & Animation Festival will screen Rose in early November. 13th September, 2013 - Rose a favourite with Australian teachers - The ATOM Awards have selected The Rose of Turaida as one of four finalists. 6th September, 2013 - Rose at Big Bear - The Big Bear Lake International Film Festival will screen Rose at the end of September. 1st September, 2013 - Rose at the Drive-In - Midwest Association of Professional Animators presents the MAPA Animation Celebration. 31st August, 2013 - Rose at Catalina - The beautiful island of Catalina will screen Rose during the Catalina Film Festival. 30th August, 2013 - Rose in Miami - The Miami Short Film Festival has listed Rose in their official selection. 28th August, 2013 - New blog entry - The roller-coaster that is the festival circuit (direct link: here). 26th August, 2013 - Rose in Philadelphia - Rose is in the official selection of the Philadelphia Film & Animation Festival. 21st August, 2013 - Rose wins at the AEAF! - Rose composer, Nicole Brady, accepted a Silver Medal at the Australian Effects and Animation awards! 20th August, 2013 - Rose in Kansas - Rose will screen as part of the Kansas International Film Festival in October, be there! 16th August, 2013 - Rose in Taiwan - Rose has been acepted into the official selection of the Kuandu International Animation Festival. 16th August, 2013 - Rose in Mexico - CutOut Fest will screen Rose in the Narrative section in November. 16th August, 2013 - Rose wins at Kingston! - The Kingston NY Film Festival has given Rose a Best Animation award! 15th August, 2013 - Rose at CinéfestOZ - Western Australia shows some love with the CinéfestOZ Film Festival screening Rose in late August. 13th August, 2013 - Rose in Cincinnati - The Cincinnati Film Festival which screened Sneeze Me Away in 2010, will now screen Rose! 12th August, 2013 - SoDak selects Rose - South Dakota gets animated again when the SoDak Animation Festival screens Rose in October. 7th August, 2013 - Rose in Serbia - Animanima will screen Rose in competition (Competition 04) in September. 31st July, 2013 - Rose at Dragon*Con - Rose will screen as part of the exciting Dragon*Con Independent Short Film Festival in Atlanta. 30th July, 2013 - Rose at Dayton - FilmDayton Festival in Ohio will screen Rose during late August. 29th July, 2013 - First Glance at Rose - Rose will screen in the online contest of the FirstGlance Film Fest Philadelphia. 24th July, 2013 - Rose in France - The delightful Croq'Anime has will screen Rose in early September in Paris. 22nd July, 2013 - Rose at the AEAF - The Australian Effects and Animation Festival has selected Rose as a finalist. 15th July, 2013 - Rose in Kingston - Rose will screen in the Kingston NY Film Festival on the 7th of August. 11th July, 2013 - Rose in Portugal - The experimental arts festival, Encontrarte Amares will screen Rose at the end of July. 30th June, 2013 - Rose wins in Uncanny! - The Uncanny Valley Animation Festival awards Rose with "Best Animation". 29th June, 2013 - New blog entry - The end of production and the beginning of the festival circuit (direct link: here). 28th June, 2013 - Siggraph selects Rose - Amazing news: Rose will play in Siggraph's Electronic Theater! This is truly a high point for the film so far. 22nd June, 2013 - Rose in New York - Animation Block Party has selected Rose to play on July the 27th in the 'Experimental' category. 19th June, 2013 - Rose in Russia - The fantastic Linoleum will screen Rose from July to September in Moscow for a Russian premiere! 18th June, 2013 - Rose in the UK - On the 25th of June, the Uncanny Valley Animation Festival will screen Rose. 13th June, 2013 - Rose in Japan - The Toyama International Film Festival will screen Rose this Saturday the 15th of June for a Japanese premiere. 10th June, 2013 - Rose wins at Snake Alley! - The The Snake Alley Festival of Film awarded Rose with "Best Animation". 3rd June, 2013 - Rose in Tennessee - The Blue Plum Animation Festival will screen Rose this weekend (7th to 8th of June)! 18th May, 2013 - Harrisburg selects Rose - The Artsfest Film Festival in Pennsylvania, will screen Rose in one weeks time on Saturday the 25th! 15th May, 2013 - Rose in LA - Rose gained an Honourable Mention at the Los Angeles Movie Awards! 1st May, 2013 - Australian Premiere - Rose can be seen first in Australia at the Revelation Perth International Film Festival. 26th April, 2013 - Rose in an Alley of Snakes - The Snake Alley Festival of Film in the USA has just announced Rose as part of their official selection! 3rd April, 2013 - International Premiere - The first festival to accept Rose is the Cortoons Festival in Rome, Italy in April! 6th February, 2013 - Official stills - Check out the gallery now! 2nd February, 2013 - Trailer is released - Have a look at the embedded movie below, or you can go directly to the Vimeo page. 2nd January, 2013 - Official poster now available - Have a look at the beautiful one sheet in the Gallery. 1st January, 2013 - Presskit now available - Download it from The Film page now! 27th December, 2012 - First public screening - Rose will be screened at the Australian Latvian 54th Community Arts Festival on the 29th of December! 22nd October, 2012 - Recording the music - The Rose of Turaida now has the music it needs. 15th August, 2012 - Just the sound portion to go! - I can now happily say that all of the visuals for the film are done...whew! 29th June, 2012 - Website updates - Various updates all over the site, make sure to have a look all around to find out more about this film. 7th March, 2012 - New work in progress image - Check out the gallery now! 21st February, 2012 - New blog entry - I built a light box. 14th February, 2012 - New blog entry - Writing about the last type of motivation. 25th January, 2012 - New blog entry - Continuing on about another type of motivation. 18th January, 2012 - New blog entry - I talk about motivation here. 1st November, 2011 - New work in progress image - It's in the gallery now. 30th October, 2011 - New blog entry - Have a look here. 20th July, 2011 - Website is launched! - Have a look around and come back often for more updates. The Rose of Turaida is Ryan Grobins' second short animated film. With a moving narrative, striking visuals and amazing music, this film, which is based on a true story set in 17th century Latvia, is about beautiful young woman makes the ultimate sacrifice for love and honour. Below is the English dialogue version with subtitles available in English, Latvian, French, Spanish and Korean (click on the "CC" button, lower right). To watch the film with Latvian dialogue, click here, and to watch the film with Japanese dialogue, click here. · The Art of Sneeze Me Away - Purchase Your Copy Today! This book showcases the rich art made during the production of Ryan Grobins' previous short animated film. Inside you will find 80 full colour pages filled to the brim with concept art, final backgrounds, information about the film, and more. Printed on higher quality Premium Paper, this book is perfect for lovers of animation, independent film and art. Please help support independent animation by buying a copy for yourself today! Just click on one of the book covers, and you will be able to visit the world of Sneeze Me Away and see all of the hard work that went into making this short animated film. All profits go to the creator. Help support independent animation today!